VidCom Communications Ltd., a company involved in selling Audio Visual & Professional Video Equipment, is looking to hire an Outside Sales Representative based in Burnaby, BC, Canada. The position involves selling Audio Visual (A/V) & Professional Video Equipment and related services, preference will be given to candidates with prior experience from within the A/V & Pro-video industry. Identify and contact prospective clients and generate sales proposals & quotes. Proactively work with existing and new customers to determine specific needs. Develop relationships with potential clients and manufacturers/vendors. Respond promptly and provide excellent customer service. Meet with potential customers on-site and in the office. Follow up on leads & referrals. Responsible for achieving pre-determined sales targets. Liaise with manufacturer/vendors to stay updated on new products & services. Attend training sessions, webinars, watch demo videos, read technical manuals and brochures. Organize demonstrations, presentations & training for prospective customers. Correctly and accurately process orders. Provide ETA to customers. Honest, Punctual, Ethical and Conscientious. Strong passion for video, audio, technology in general, minimum 3 years of Audio Visual & Pro-video Equipment Sales & Implementation Experience. Strong Computer Skills, Proficient with MS Office (Word, Excel & Outlook). Solid understanding of Computer Networking & Audio/Video Terminology. 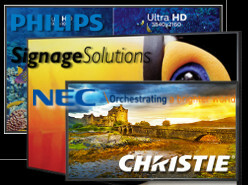 Able to consult, recommend & design Audio Visual solution for the customer. Able to learn about new A/V technology, Products, Features and Services. Self-motivated with high performance standards and hunter mentality. Strong team player with ‘can-do’ attitude. Strong attention to detail and sense of urgency, able to meet deadlines. Capable of setting-up the equipment for demonstration & presentations. Willing to travel within Canada & USA (approximately 1-week per month). Possess a Valid driver’s license, Valid Passport & dependable transportation. We offer the opportunity to forge an exciting and satisfying career path which is supported by a competitive salary, commission and benefit package. Please either email your resume to vidcom@vidcom.ca or fax your resume to (604) 299-8874. No telephone calls please.